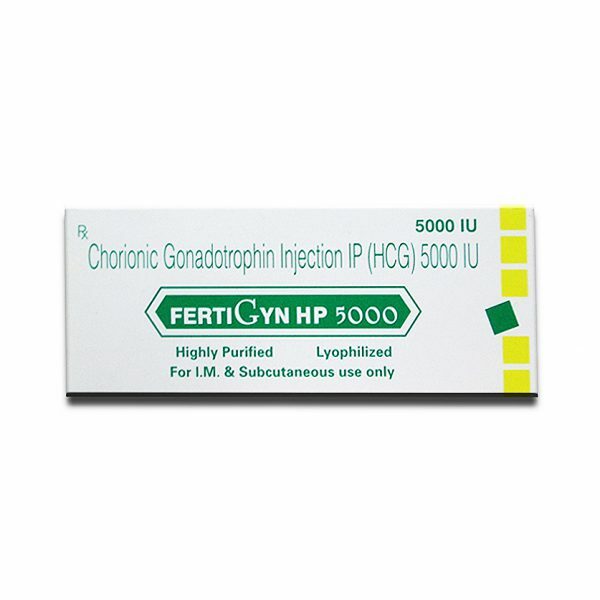 Fertigyn 5000 is an injectable drug manufactured by Sun Pharma, India and containing as active substance Human Chorionic Gonadotropin (HCG). 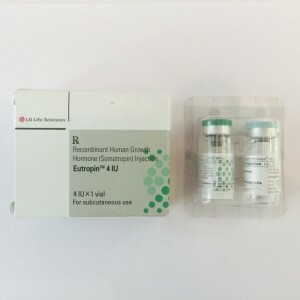 This is a hormone produced during pregnancy that is made by the developing placenta after conception, and later by the placental component syncytiotrophoblast. 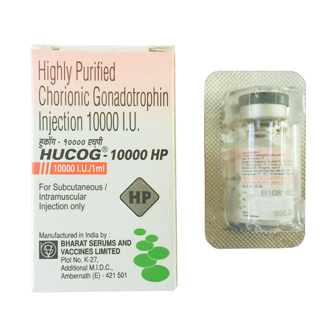 HCG is used to cause ovulation and to treat infertility in women, and to increase sperm count in men. Another use of HCG is to suppress hunger and trigger the human body’s use of fat for fuel. bodybuilders use it in cycles and in post cycle therapy to lose gain and to increase Testosterone production. Fertigyn comes in 1 kit x 5000 IU ampoule and solution. Fertigyn 5000 is utilized among bodybuilders and athletes at the end of an anabolic-androgenic steroid cycle to prevent the breakdown of muscle tissue. It is also important in restoring the testes to the normal abilities. Many times after a period of anabolic steroids usage the testes of an athlete may shrink. Fertigyn is effective in returning them to normal size. It is also useful during a low calorie diet to help burn off that extra layer of fat over the muscles. For this purpose it is also very useful for female athletes. The average dosage of Fertigyn (5000 IU) during a cycle is between 500 IU to 1000 IU every week. 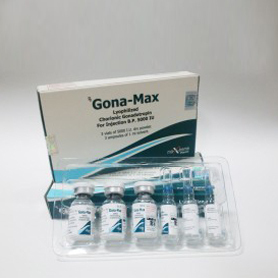 If the injection is taken more frequently the blood level of the athlete are more stable while taking it in one shot may increase the estrogen levels caused by the aromatization of normal Testosterone and result in gynecomastia. In post cycle therapy Fertigyn should be used in smaller doses, about 250 – 500 IU every day for 2 or 3 weeks. Smaller doses are enough to begin reversal process of testicular atrophy. When starting a cycle of HCG, bodybuilders must follow it for 2 to 3 week range with a least one month off in between and follow this course with no concern. It is also recommended to start and HCG cycle near the end of a normal steroids cycle, most effective in the last week. Fertigyn can be used with clomid or nolvadex in the PCT and continue using them after HCG is no longer part of the cycle. The most common side effects of Fertigyn are: Headache, feeling restless or irritable, mild swelling or water weight gain, depression, breast tenderness or swelling; or pain, swelling, or irritation where the injection is given. A series of more serious side effects are: severe pelvic pain, swelling of the hands or legs, stomach pain and swelling, shortness of breath, weight gain, diarrhea, nausea or vomiting. In case if these effects persist it would be useful to address a physician.